Announcement We just launched our own website! 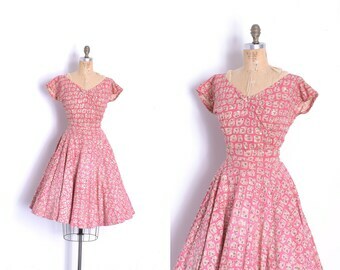 Head to www.lapoubellevintage.com to see our freshest items! 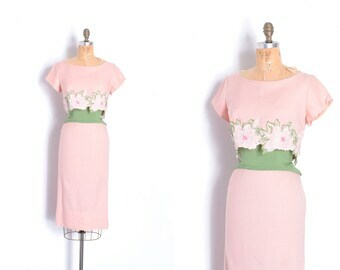 Fun, feminine vintage! 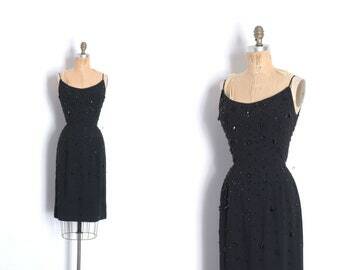 Find us on Instagram for sneak peeks and live updates @lapoubellevintage. Brooklyn showroom open by appointment. We just launched our own website! 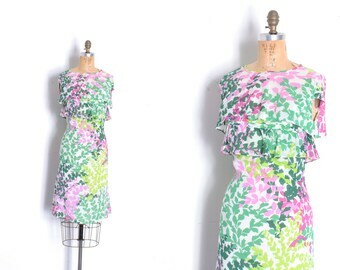 Head to www.lapoubellevintage.com to see our freshest items! 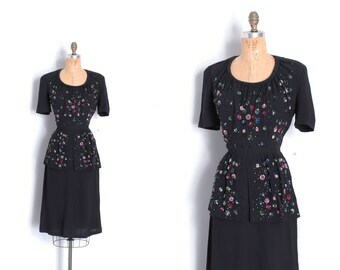 Dress was exactly as pictured and in perfect condition. I purchased for a theatre show I am designing set in the 1980's and it is absolutely perfect. A-mA-Zing...all around great product and customer service! Welcome to La Poubelle Vintage! 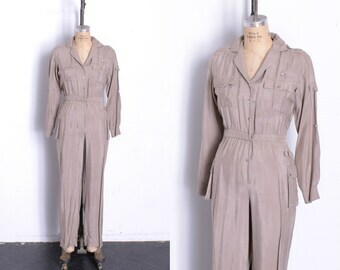 I specialize in a high-end mix of vintage from the '20s through the '80s including designer pieces, seasonal clothes, and high quality accessories. Each piece is selected with an eye for current trends and modern fit. 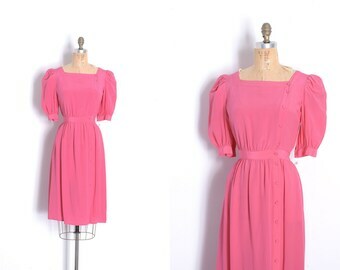 It is very important to me that you adore your La Poubelle Vintage purchase! 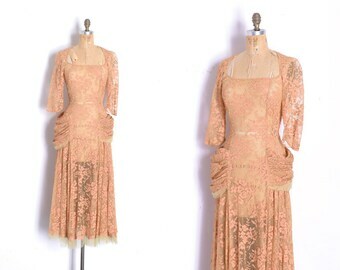 Please keep in mind that all of these items are 20-100 years old and have been previously worn and loved! I go to great lengths to indicate flaws like tears or stains and I am always very happy to take more photos or measurements of any item so please don't hesitate to contact me with any questions. That being said, all sales are final. I do not accept returns for fit or small imperfections. However, if you feel an item has been grossly misrepresented, please contact me within two business days of receiving your order and I will do my best to come to a solution that works for both of us. Sale items are sold AS-IS and are non-returnable under any circumstances. Returns will not be accepted for color differences as all screens display color differently. Please reach out to me if you are in need of a very specific color. If an exchange or refund is agreed upon please send the item back in the same condition as it was delivered to you within 7 business days (15 for international customers). Items that have been altered, damaged, or worn will not be accepted. Returns may be subject to a 20% restocking fee. Shipping costs are not refundable under any circumstances. Any item that was returned without my express permission will face a 50% restocking fee and any cancelled sales are subject to a 10% restocking fee. Payment can be made through PayPal or Etsy Direct Checkout. New York state residents will be charged sales tax. If you live in NYC and your purchase is under $110, I will refund your sales tax after purchase or contact me to have it removed prior to purchasing. If you would like to reserve or hold an item, a 20% non-refundable deposit is required. I can hold items with a deposit for up to 3 days. Layaway is accepted for items over $100 after the item has been in the shop for 24 hours. Message me if you would like to put an item on layaway and I will give you further details. Domestic Orders: Buyers have the option to select USPS first class, priority, or express shipping at checkout. All shipping prices are calculated based on the individual weight of the item. Delivery confirmation is included with all domestic orders. International Orders: Buyers have the option to select USPS First Class International or Priority mail at checkout. First class international mail has an estimated delivery time of 2-6 weeks. Priority mail has an estimated delivery time of 1-2 weeks. Buyers are responsible for all customs charges, taxes, and fees. All items will be shipped within 3 business days of payment being received and usually the next day. If you need your item expedited, please contact me immediately and I will get it out as quickly as possible. La Poubelle Vintage is not responsible for lost packages. Shipping insurance is available at an additional cost, please contact me prior to purchasing if you would like this option. 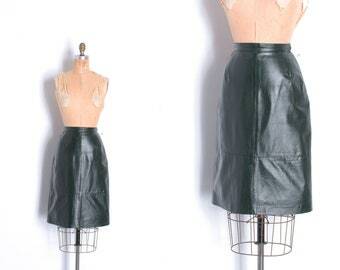 Sizing: All items are measured in inches, laying flat and each description includes an estimated modern size. To make sure the sizing is accurate, measure one of your favorite clothing items using the chart below and compare. I do layaway on items over $100 after an item has been listed for 24 hours. A 20% deposit is required to begin the layaway process. The balance must be paid within 30 days. Please message me for more details. All sales are considered final. Please contact me if you would like any additional information about sizing, condition, or color. I will occasionally offer a bulk discount if you are purchasing 3 or more items but not for single items. Please message me for more information. All items are shipped by USPS and are usually shipped the following business day after purchase. International buyers may be responsible for customs fees, import taxes or VAT, please familiarize yourself with your country's import laws before purchasing. We are not responsible for lost or stolen packages and I would therefore recommend purchasing USPS insurance. Please contact me for more details.